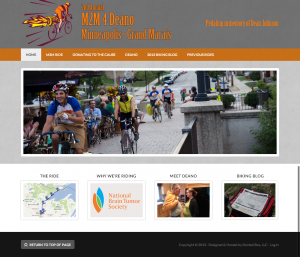 m2m4deano is a charity bike ride in its second season. The purpose of the ride is to raise awareness and fundraise for brain cancer research. This is our second year creating the website and had some specific goals in mind. 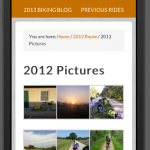 Our main goal was to develop a responsive website that the riders could view and update with their mobile phones while on the ride.